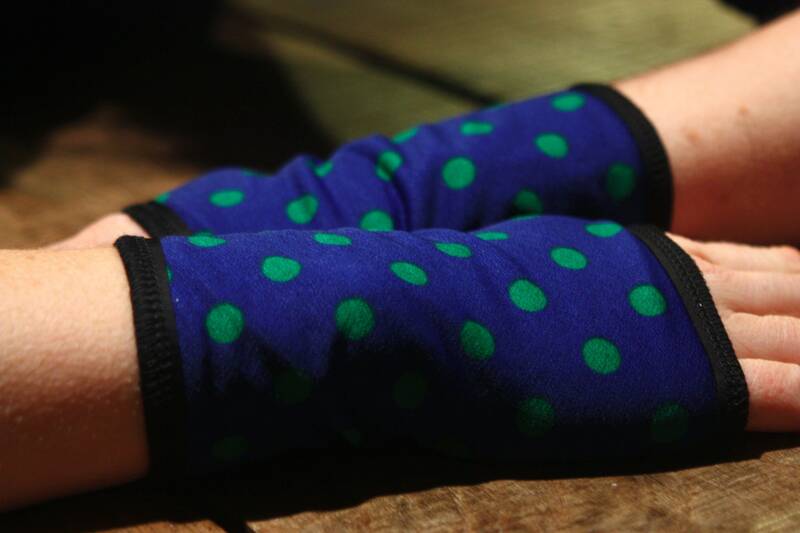 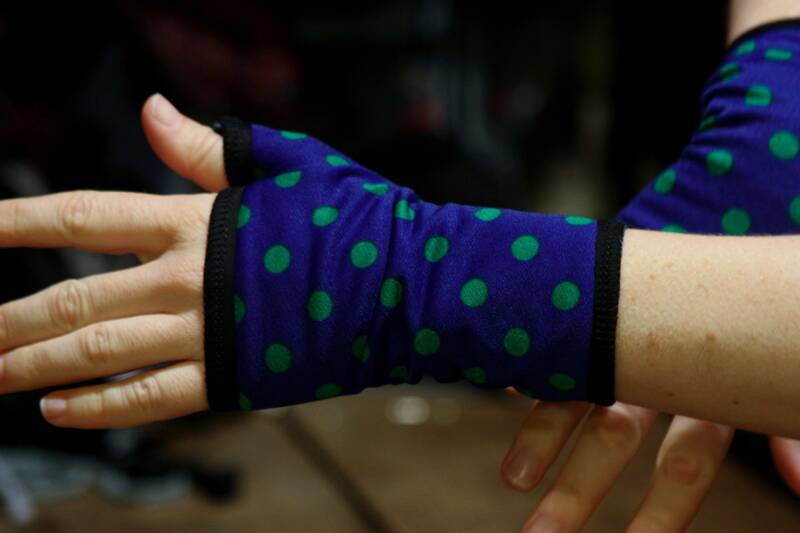 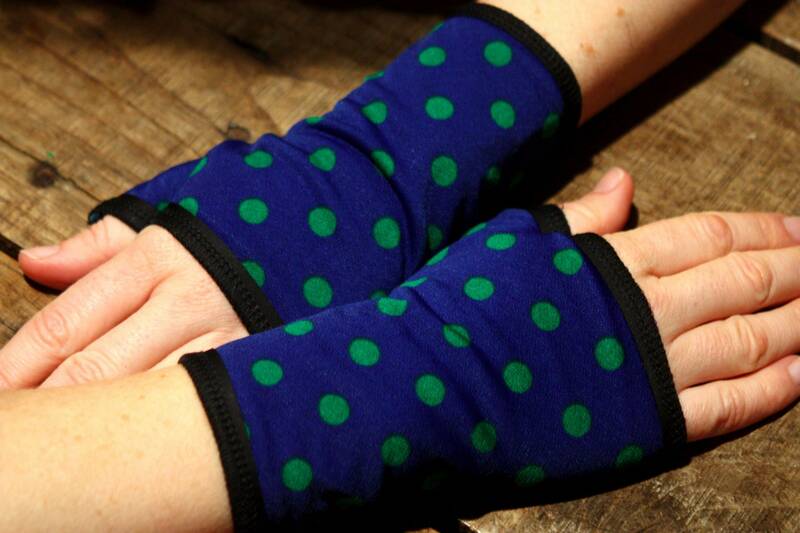 Short Mitt blue with green polka dots in Lycra. 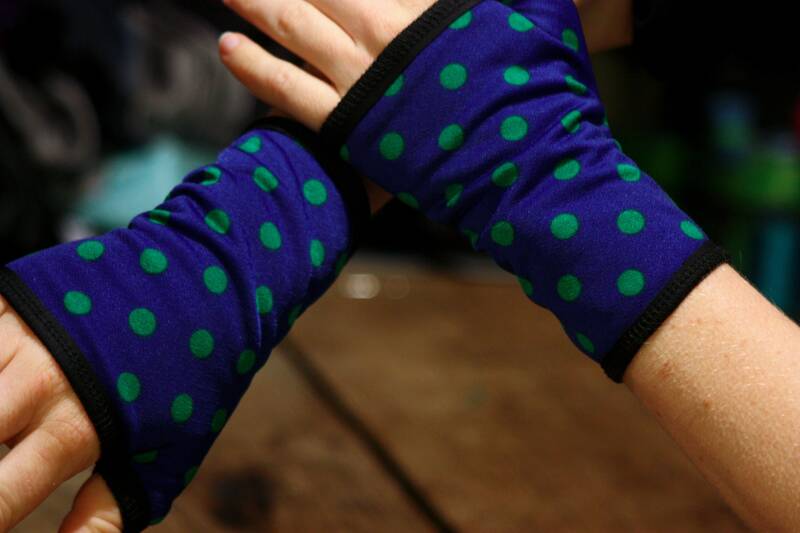 for a warmer effect for the winter, comfort and greater resistance. 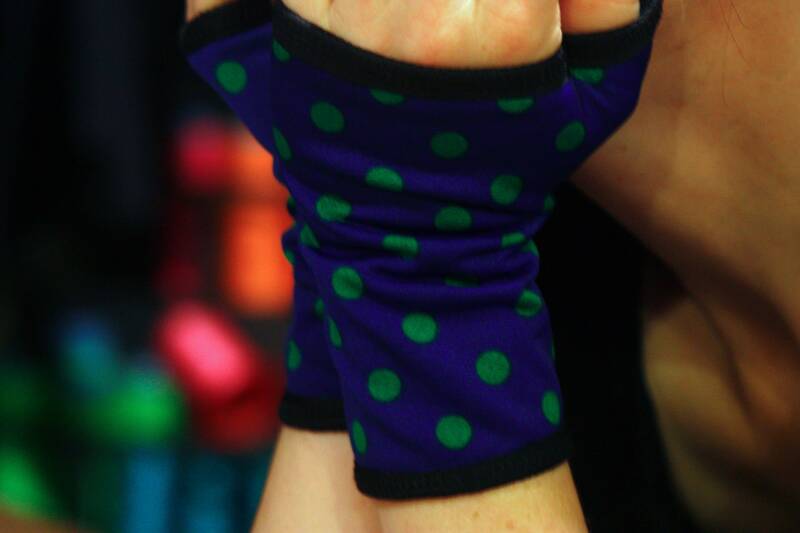 the finishes are made with a black Lycra that follows the movement and elasticity.